Have you ever talked about your boss behind your back? If you haven’t complained to at least someone…you’re a saint. Call me. I’m sure you’ve got some wisdom we can share here at LGL. For the rest of us… you know… right? Just like you’re complaining about that boss who (you might even like a lot of the time) has behaviors you wish they would improve–SOON. And chances are you haven’t told them. Here’s the real deal. No matter how wonderful you are, I guarantee you, your team is talking about you (in some way that would surprise you) too. That’s the spirit behind Winning Well. No one leads in a soul sucking way on purpose. David Dye and I are on a mission to help you (and your bosses and your direct reports) lead better. Sure it’s hard. You and your bosses are sandwiched between all kinds of competing priorities. And it’s tricky to think about how to do it right. But it can also be made much easier by learning some extremely practical tools and techniques (this is a 2 minute video). I promise you. 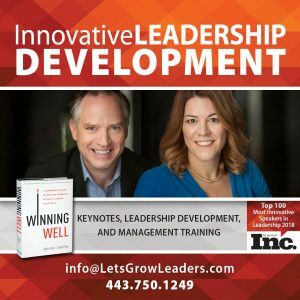 A little bit of quality leadership development is worth the investment. 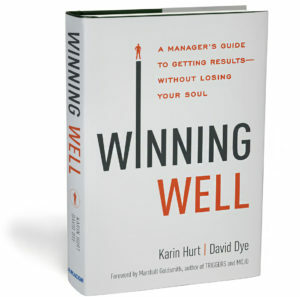 If you haven’t downloaded a FREE chapter of Winning Well, accessed the free toolkit, or taken the free online assessment, click here to get started. 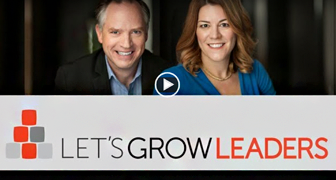 If you just want to talk for an hour (my dime) about why you’re a Winning Well leader or areas you’re looking to improve please contact my awesome assistant, Beth at beth@letsgrowleaders.com and she will get something scheduled. I know we can help. And we have a wide range of solutions for every budget, including our newly released Winning Well online course. Posted in Winning Well and tagged great leadership, skip level meetings. I love this Karin because YES, we’ve all been guilty of 1) talking behind our boss’s back, and 2) been the one who’s talked about! And while it’s a bit of a cultural norm to complain about the boss, it can lead to big trouble if you’re the boss and aren’t aware of the criticisms around you. 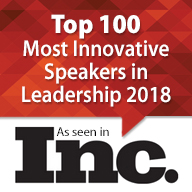 I’ve discovered that three things work well for me: 1) cultivating real relationships with my team left them more willing to honestly share their doubts or concerns about a direction that I may be taking; 2) letting go of ego and developing enough self-awareness that I could sense how I was coming across to my team; and 3) asking for feedback in a way that indicated I was serious about their response. Great topic! LaRae, Thanks so much! I’ve been on both sides of it too. Love your advice here! Karin, I just came across your blog and this particular post. There’s no way to stop people from talking about us behind our backs–employees or any other relationship. But we can invite others to say more to us directly–about their concerns, ideas, needs, etc. And then honor them by listening and expressing our gratitude. Thanks, Tom! Great point. The more we invite candid dialogue, the less people feel like they want to gossip.